NavStorm: How to setup NAS (Navision Application Server) for Microsoft Dynamics NAV 2013 R2? Open Microsoft Dynamics NAV 2013 R2 Administration. Open the Instance in which you want to configure NAS. Service Default Company (Your Company name). Service Default Time Zone : It should be Server Time Zone. In NAS Services tab, 3 fields are mandatory. Note : The TYPEFILTER=HOSP can be changed according to you ‘Scheduler Job Type Code’ as you can find it in below snapshot. After doing the settings above, restart the service. 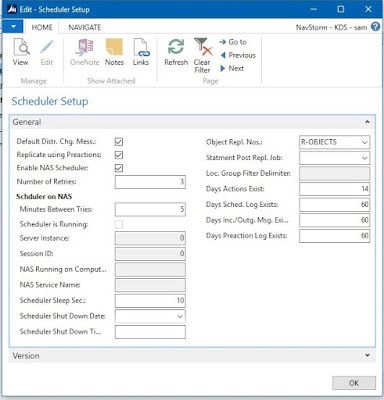 Open the Scheduler Setup page and do the following setup as shown in below snapshot. 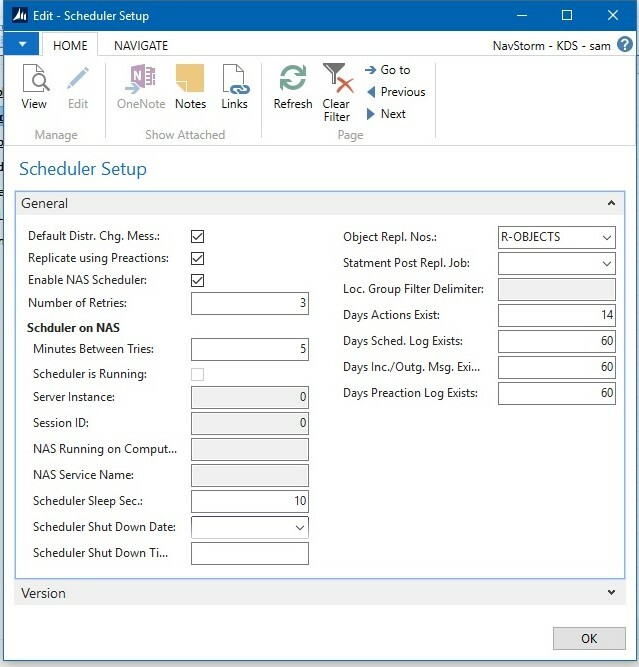 Enable NAS Scheduler should be checked to yes. Scheduler sleep sec. can be set as requirement by default it is 10 sec. Go to job and on the Schedule Detail tab and fill the following fields. Starting Time and Ending Time (Not Mandatory). Valid on Sunday to Saturday. 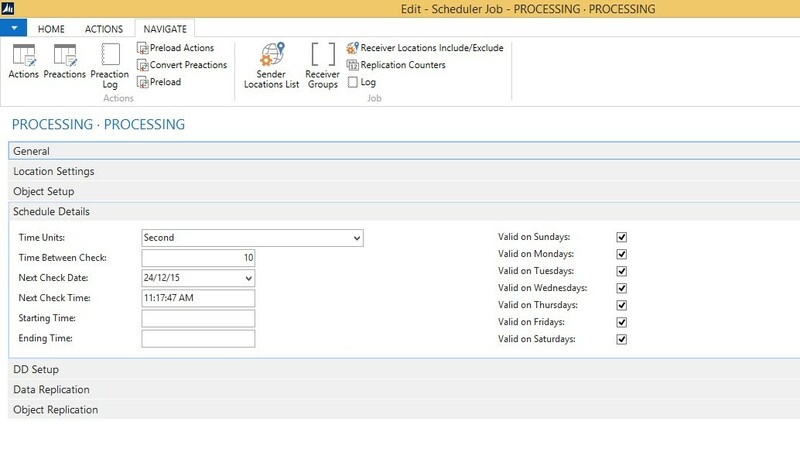 Now the NAS Services will be enabled, check the Scheduler Log of the particular Scheduler Job. 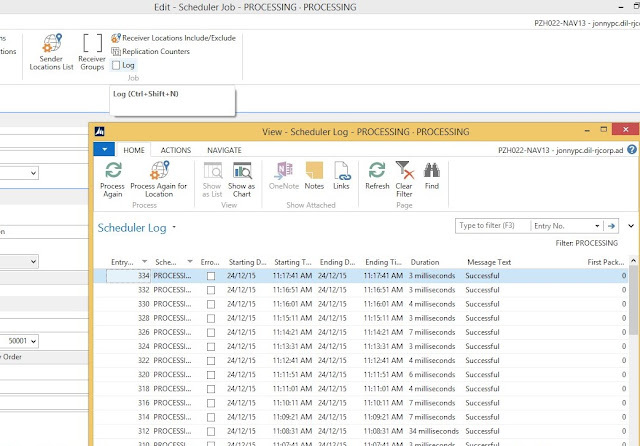 Note : Restart the service and monitor the Scheduler Log for job to ensure that the job is auto starting or not in case of system restart or power failure. Please post the comment below if you have any queries regarding the Configuring of NAS. Also, Follow us Facebook and Twitter to keep updated with more tutorials. I don't see the pages "Scheduler Job" or "Schedule Setup" or Codeunit "99001468" anywhere in NAV 2013 R2. 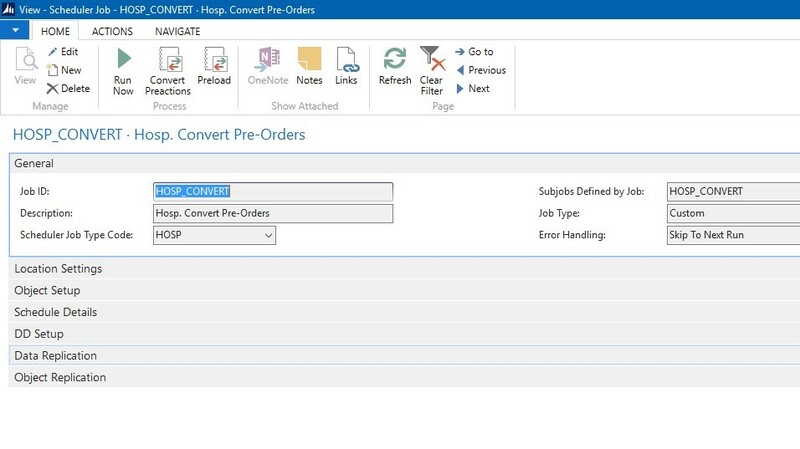 These objects that you have mentioned is a part of LS Retail Toolbox 7.1 specific for Microsoft Dynamics NAV 2013 R2. You have to install the toolbox first in order to access it. 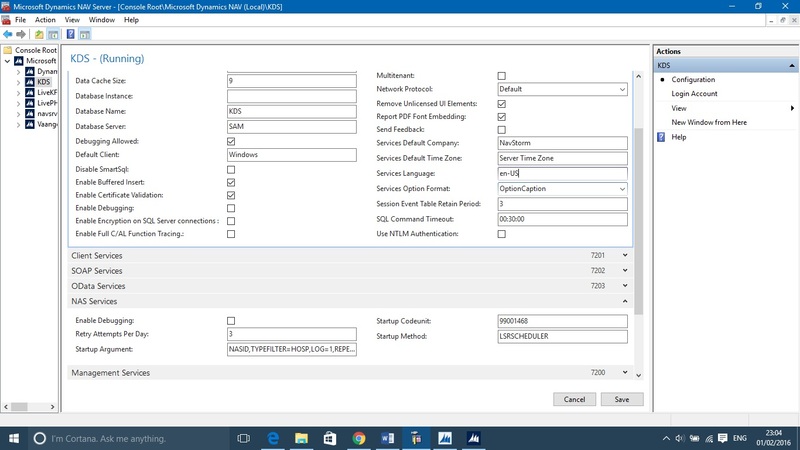 Hello, is this article valid for LS Retail NAV 2016 ? Yes, it is valid for LS Retail 2016 as well. Hi sir, I have see after all configuration done, but job not run schedule based why ?? With all the new devices you can get for your home system it very well may be somewhat befuddling. A portion of the names and acronyms can wind up like a haze a few times.